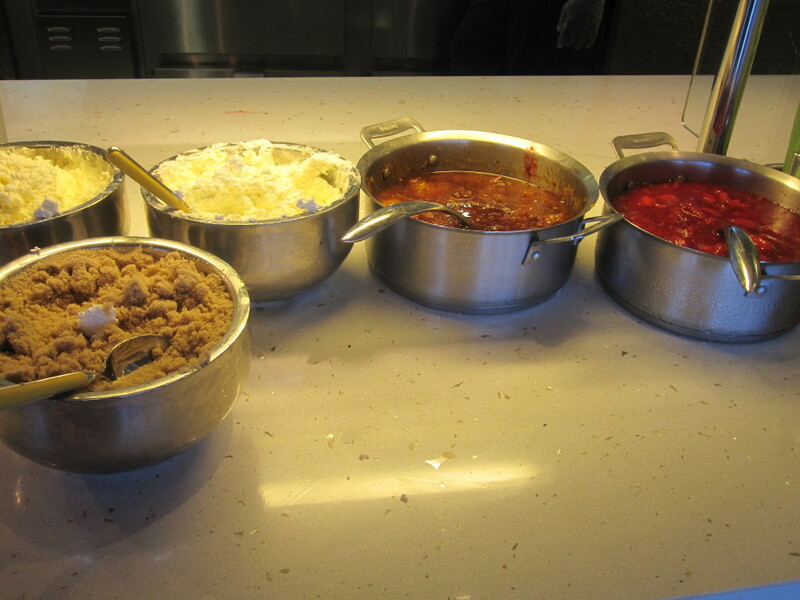 We are several days into our Disney Cruise Line DISUnplugged Podcast Group Cruise, Podcast Cruise 4.0, and I finally found some time to blog about the food onboard the Disney Fantasy. It has been several (if not many) meals already consumed but I thought I would try to find a logical starting point for this series….Cabanas Breakfast. Open every day as a buffet for breakfast and lunch, and on some evenings as a casual dinner experience for those that do not want to eat in the ‘regular’ dining rotation, Cabanas is located on Deck 11 Aft. It actually takes up most of the back end of the ship on deck 11 and has a huge food service area with many tables and chairs. Even with all this space, at certain times and on certain days, it can be very busy and quite hectic. The busiest times seem to be a few hours before the ship docks in a new port as folks scramble to get in one more meal before going ashore. 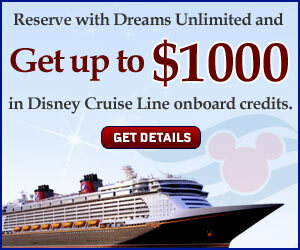 The layout, look, feel and name are the same onboard both the Disney Fantasy and the Disney Dream. We sailed on the Disney Dream in June of this year and we are actually finding the meals at Cabanas (and in general) to be better on the Fantasy. That’s not to say the food on the Dream was bad, just better this sailing than in the past. 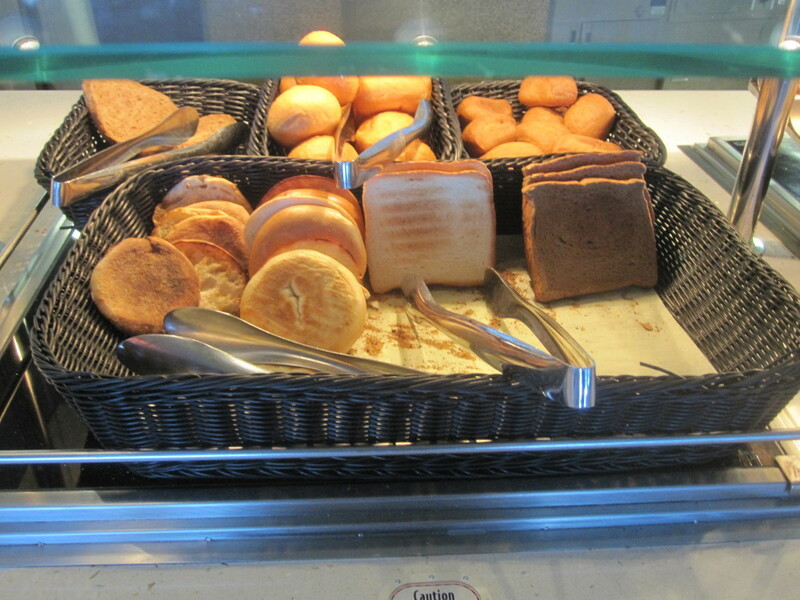 The breakfast buffet at Cabanas is extensive. I don’t know how anyone would have trouble finding something to eat here. Offerings range from cold cereals to hot eggs and everything in between. I don’t know why but being on vacation for me always means bagels and lox with breakfast (notice I said “with”, didn’t say “for” breakfast – that would imply I actually stopped there). 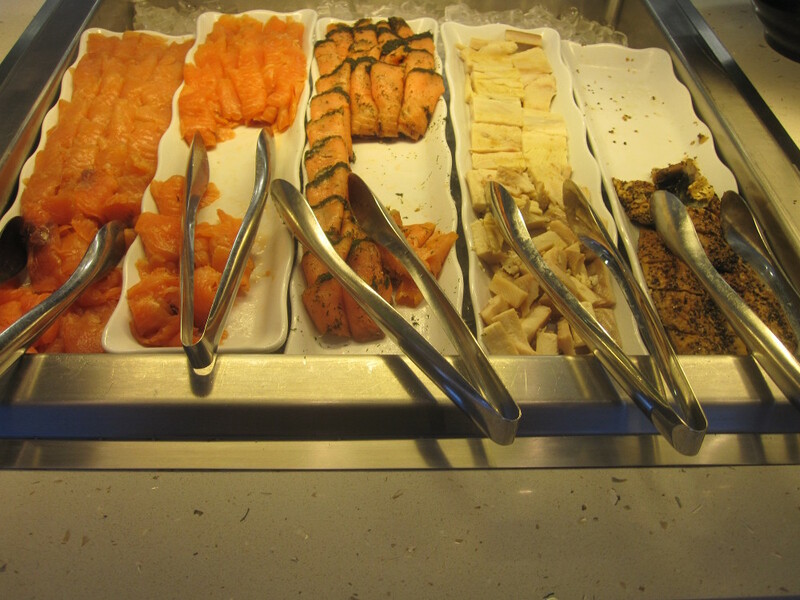 While the bagels aren’t great on any Disney Cruise ship, the multiple kinds of lox, smoked and dried fish and appropriate accoutrements were excellent. Fresh, delicious and always plenty to choose from. After that the choices almost seem endless. 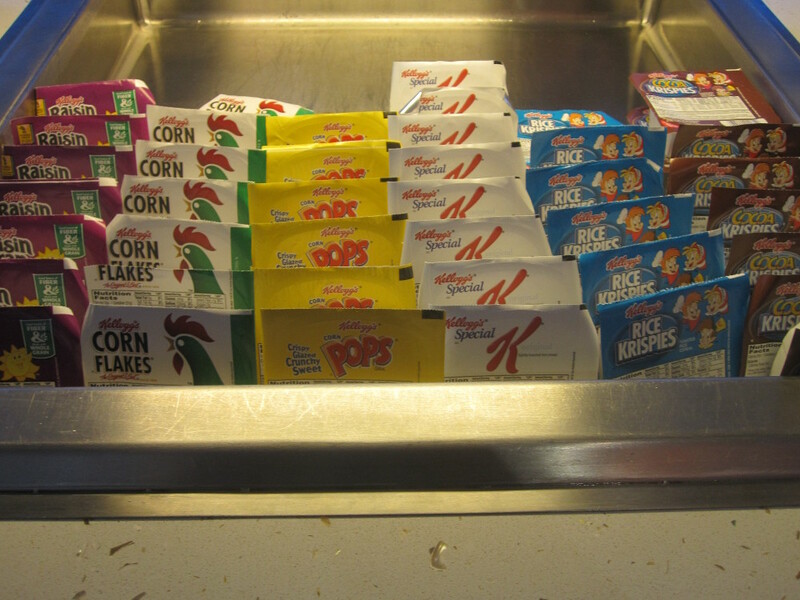 As I mentioned there were cold cereals along with hot oatmeal and ingredients for a make-it-yourself bowl of granola. Hot choices are plentiful and include an embarrassment of riches when it comes to eggs; scrambled, over-easy, poached (Benedict, Julia or Florentine style) as well as omelets made-to-order. Meat lovers they haven’t forgotten about you; bacon (crisp and delicious), sausage, hams, cold cuts and even cheese are available for the pickin’. 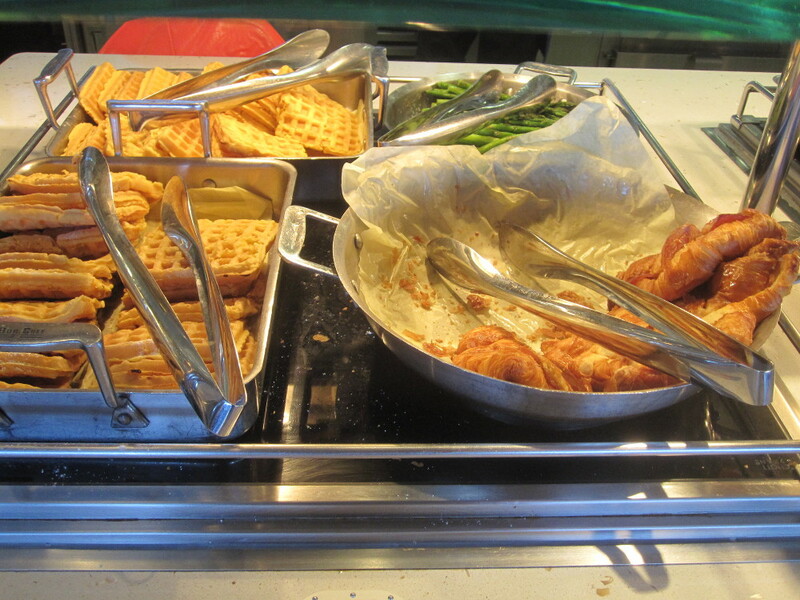 Pancakes, waffles and french toast are also available along with all the appropriate toppings and sides. 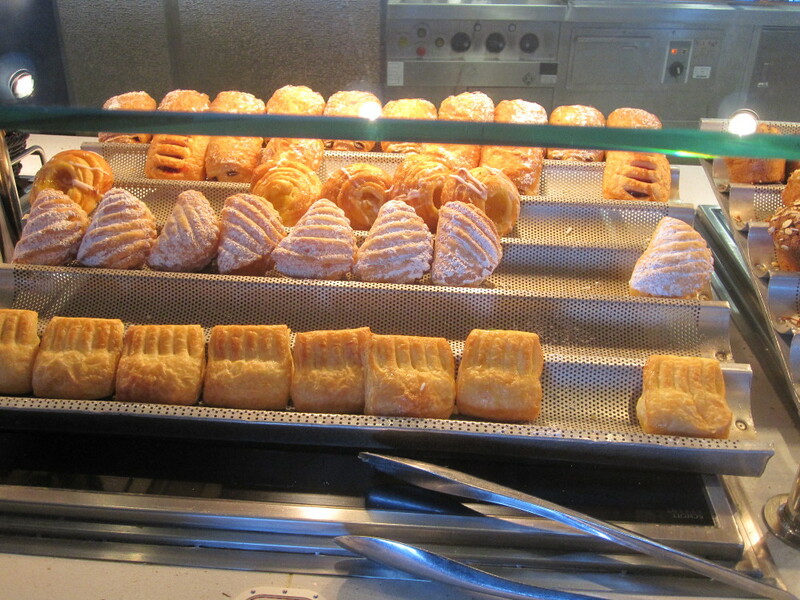 And of course what first class buffet would be complete with an assortment of pastries and danishes. Oh yeah, there might have been fruit somewhere too – I was too busy stuffing my face with the bad stuff to notice. The only downside is the coffee. The good news is you can run down to The Cove and get a ‘real’ coffee if you choose to pay for it. 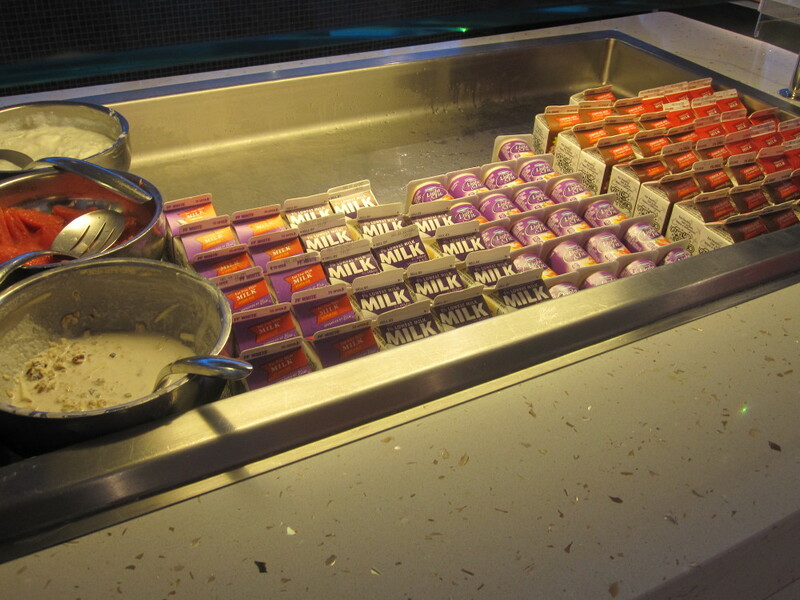 The bad news is the free coffee on all of the Disney ships is aweful and should be avoided. 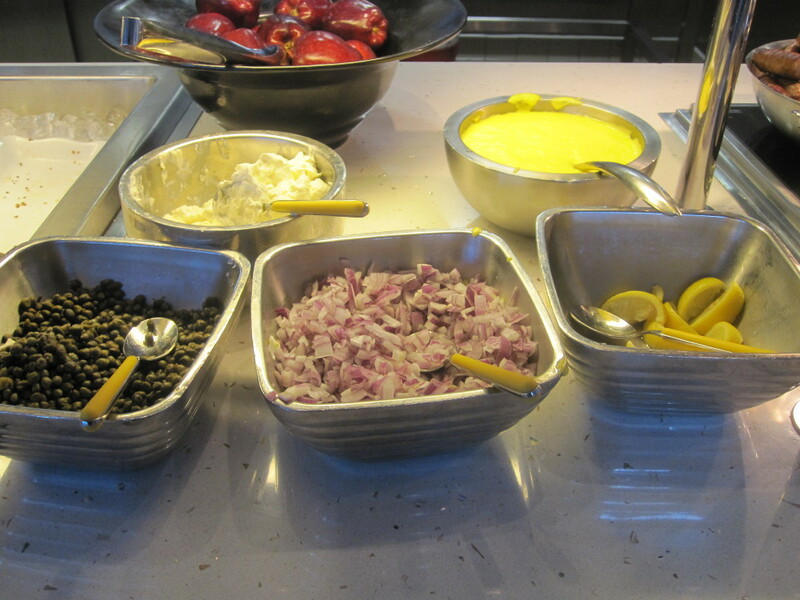 The chef and staff on the Disney Fantasy have gone above and beyond to provide a delicious and extensive breakfast for their guests and they should be commended for it. 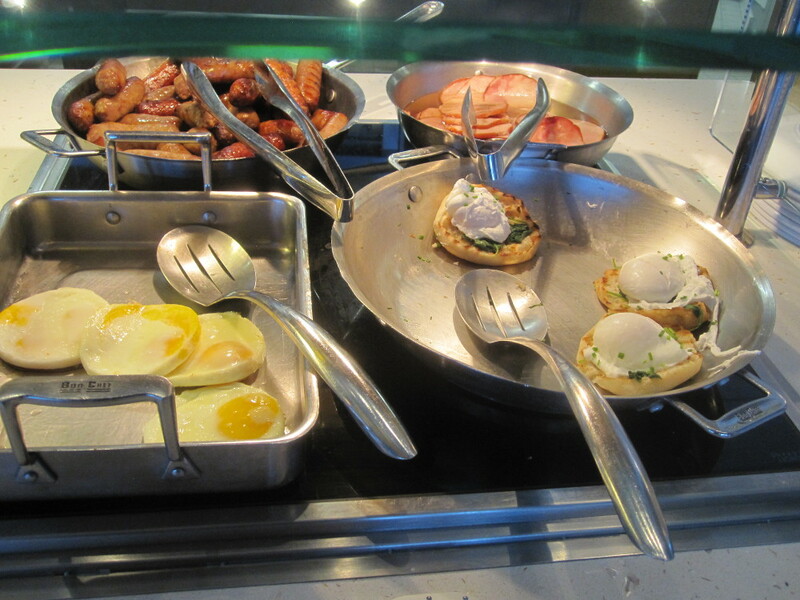 This entry was posted in Disney Food, Foodie Tales and tagged bacon, bagels, breakfast, Buffet, Cabanas, Disney, Disney Cruise Line, Disney Cruise Line breakfast, Disney Cruise Line Cabanas, Disney Dream, Disney Fantasy, eggs, French Toast, lox, Pancakes, sausage, toast, waffles by John Magi. Bookmark the permalink.